Marc McKee, a professor in McGill's Faculty of Dentistry and the Department of Anatomy and Cell Biology, and his team, along with collaborators from Johns Hopkins University, shed light on how certain biological structures—like terrestrial and marine snail shells—can have both clockwise and counterclockwise spirals, not only within the same species, but also within the shell of an individual organism. In an article published online in Science Advances, Professor McKee and his team constructed chiral helicoidal structures of the biomineral calcium carbonate (a mineral typically found in shells) by the simple addition of specific amino acids. Scientists originally hypothesized that biological helical structures—such as snail shells or the twisting tooth of the narwhal—could be explained by the actions of chiral molecules that caused them to spiral clockwise (left-handed) or counterclockwise (right-handed). 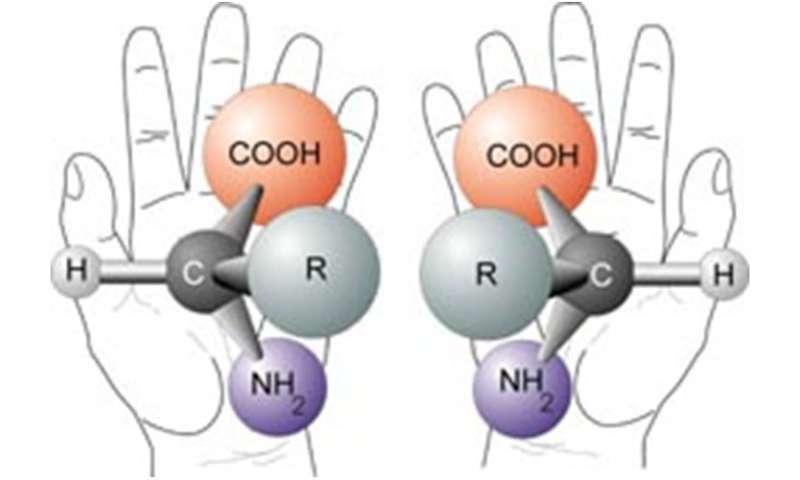 In nature, however, where both rotations can sometimes be found, this can't be the case because only left-handed amino acids and biomolecules are generally involved in biological processes. 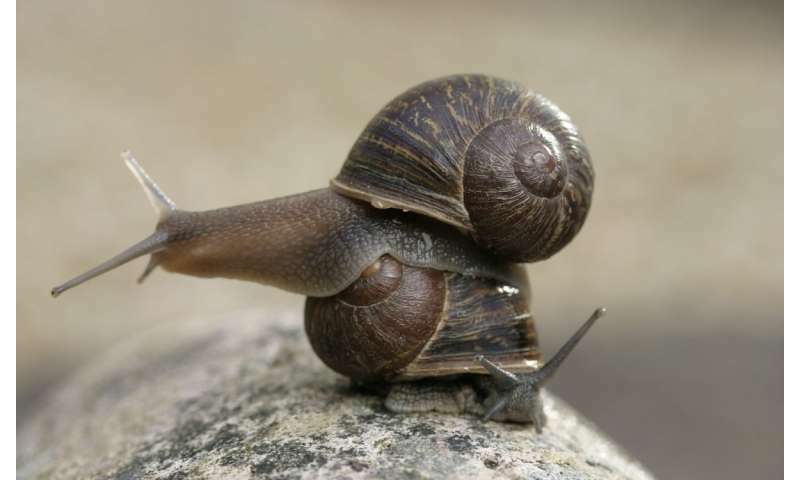 i feel dumb for not being able to see the difference in the snails shells. if they were both turned to the same direction they pattern looks ( to me ) to be the same. Please tell this noob what i am missing.